A cutting-edge, lifesaving heart procedure now offers hope to patients with a diseased aortic valve. First Coast Heart & Vascular Center physicians have been routinely performing Transcatheter Aortic Valve Replacement TAVR in Northeast Florida since 2014. Heart valves open and close to control the flow of blood through the heart. As we get older, these valves can frequently become narrower due to calcium buildup or scarring. The last valve in the body through which blood is ejected from the heart is the aortic valve. When this valve doesn’t open well, it’s called aortic stenosis. Stenosis is graded from mild, to moderate to severe, and to critical depending on the pressure gradient across the poorly functioning valve. When the aortic valve doesn’t open well, the body does not get an adequate blood supply, and then the heart has to work harder. This can cause abnormal heartbeats, heart failure and permanent damage to the heart. Aortic stenosis is serious and can be life-threatening. Once aortic stenosis narrowing starts to restrict blood flow and cause symptoms, the patient may be a candidate for TAVR. Approximately 1.5 million people in the United States suffer from aortic stenosis roughly 500,000 in this group suffer from severe aortic stenosis. What is a Transcatheter Aortic Valve Replacement TAVR? TAVR is a heart valve replacement option for individuals with symptomatic severe aortic stenosis who may not be medically eligible for open aortic valve replacement surgery. TAVR is considered a minimally invasive surgical procedure because it involves implantation of a new prosthetic aortic valve through a catheter-based approach, without open heart surgery. The TAVR procedure utilizes a minimally-invasive technology where a thin tube called a catheter is inserted into the femoral artery in the groin and carefully moved up the artery to the heart. The catheter has a balloon device on the end that inflates to help open up a narrowing in the artery to the heart. The replacement valve compacts to a very small diameter and is folded onto the balloon device. The interventional cardiologist places the replacement valve inside the patient’s diseased aortic valve and expands the balloon. This makes the replacement valve enlarge, moving the faulty valve aside. The replacement valve begins to function like a healthy valve as soon as the balloon catheter deflates to permit the flow of blood. The diseased native aortic valve serves as an anchor to hold the new valve in place. This procedure is performed under general anesthesia, at the cardiac catheterization lab. A cardiothoracic surgeon, an interventional cardiologist and the heart team work together, utilizing fluoroscopy and echocardiography to guide the valve to the site of the patient’s diseased heart valve. Patients usually enjoy immediate benefits with improved blood flow. By using the minimally invasive techniques to replace the damaged valve, patients typically experience a rapid recovery compared to a traditional, open-heart valve replacement. Most patients are discharged within 72 hours or less. Is TAVR now an option for intermediate or lower risk patients? TAVR has been in use approximately ten years and the procedure has become the benchmark for severe aortic stenosis repair. Patients who were originally treated with TAVR were not candidates for open heart surgery and were considered high risk. 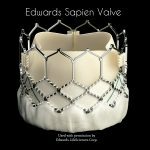 However, the success of the TAVR technology has been shown and it will soon be a practical option for patients at intermediate or lower risk as well. Can I be a candidate for a TAVR procedure? 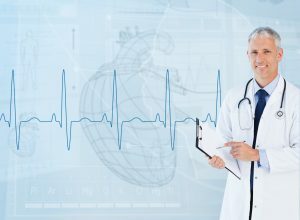 After testing, our interventional cardiologists will evaluate each patient’s results and determine the best way to treat their aortic stenosis. A Heart Team approach to patient and device selection is utilized to provide the best option for the patient, either surgical or transcatheter aortic valve replacement. What if I’ve been told I’m not a candidate for open aortic valve replacement surgery? If you have been informed you are not a candidate for open aortic valve replacement surgery elsewhere, we will evaluate you for a TAVR procedure. About one-third of patients are not candidates for open aortic valve replacement surgery. I think TAVR might be right for me, or I have more questions. What should I do? The TAVRs valves come in different sizes and based on the results of your testing, we can decide the best valve for you based on your anatomy. Everyone is a little different; but with both valve options, we can provide more choices. What can I expect my long-term recovery to be like? Most patients can go back to their lifestyle after a few days and return to an increased level of activities much faster than with major surgery. MRIs and X-rays are generally safe but make sure to inform any healthcare provider that you have a TAVR. TAVR can be an effective option to improve the quality of life for patients who might otherwise have limited choices for aortic valve repair. Symptomatic severe aortic stenosis carries with it an annual risk of death of about 50%, once diagnosed. So, there certainly is risk in NOT treating this condition. Risks of the procedure include the possibility of vascular access injury, stroke, arrhythmia, the potential need for a pacemaker, kidney dysfunction, and even death, so it’s important to talk to your doctor before considering any type of surgery. All procedures carry risk, and benefits. It’s up to the patient and the doctor to make decisions about the best approach for their care. For more information contact First Coast Heart & Vascular at 904-423-0010.